Han and Qi’ra on the cover of Star Wars: Most Wanted by Rae Carson. A few weeks ago we promised you we’d be reading Star Wars: Most Wanted together and, well, here we are. 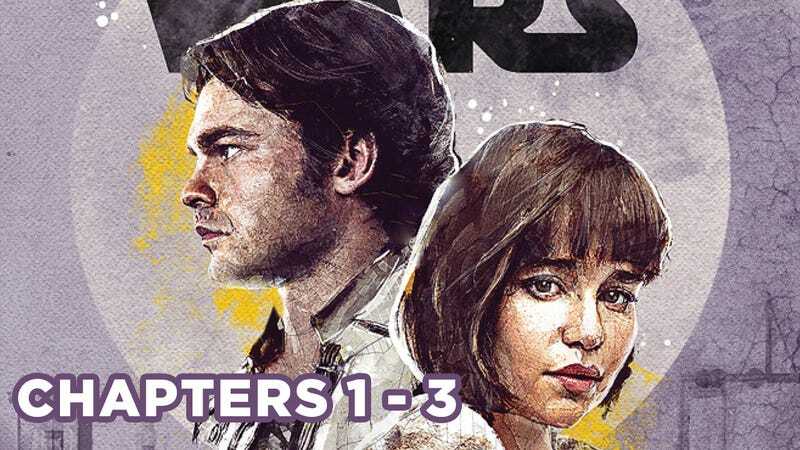 By now, you should have had time to see Solo and pick up a copy of Most Wanted so you could read along with us. Each week, we’ll be discussing three chapters over in The Carbonite Freezer, our dedicated Star Wars Facebook group (you should join, it’s pretty... cool) in there). The discussion post for chapters one through three is live now and has some ramblings from yours truly, plus a few questions to get you thinking and commenting, so you have no excuse not to jump in! And guess what, even if you haven’t read the first three chapters, you can still join in and comment. Just don’t be a dingus and spoil things beyond the point we’re at, please. You don’t have to be a Constant Reader to have a critical thought about plot points, so feel free to come on over. Just a few chapters in, we’re already learning a ton about Corellia and the many underworld factions that exist there. One of my favorite parts about diving into EU stuff is the myriad details we learn about the different cultures, governments, species, and settings in Star Wars, and Most Wanted appears to be a rich vein.